Click here to download Preface. Click here to download TOC. PDF is free for download. Click here to download a copy. A hard-cover edition of the book can be purchased from Chapman & Hall/CRC here. Bibliographic reference: Wikle, C.K., Zammit-Mangion, A., and Cressie, N. (2019). 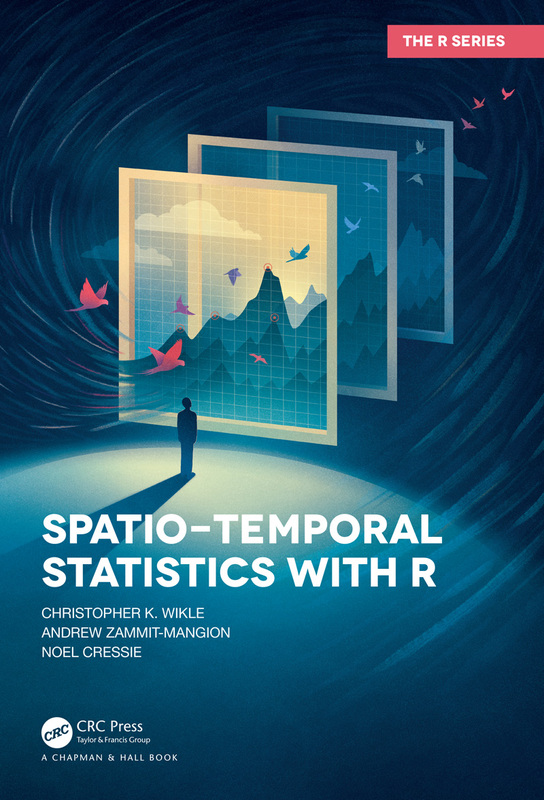 Spatio-Temporal Statistics with R. Chapman & Hall/CRC, Boca Raton, FL.